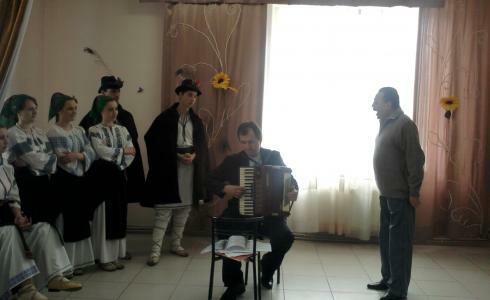 In "Hope and Health" rehabilitation centre was held holy feast of Easter. Beneficiaries have prepared a presentation, but guests are not left behind. For the first time the event took place in the new assembly hall, which we were able to open with the help of the Swiss Cooperation Office in Moldova. We also want to thank our friends who have participated in our holiday: Leogrant SRL, Starnet SRL, International Organization for Migration, Father John church “Sf. Our colleagues from Norway (Eikervekst), sent us sweets that are produced in a factory where work the same people as our beneficiaries. Mărțișor (Romanian pronunciation: [mərtsiʃor]) is a traditional celebration of the beginning of spring, on March 1st. It is a tradition in Romania, Moldova, and all territories inhabited by Romanians and Aromanians. 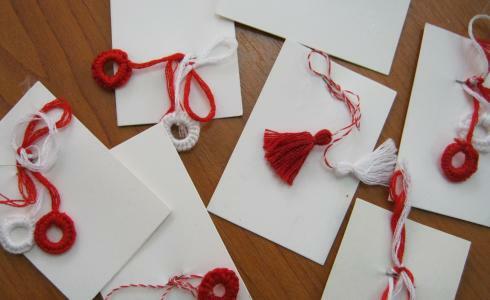 Mărțișor - name for the red and white string from which a small decoration is tied, and which is offered by people on the 1st day of March. Giving this talisman to people is an old custom, and it is believed that the one who wears the red and white string will be strong and healthy for the year to come. It is also a symbol of the coming spring. February 23, in the countries of the former USSR, from Soviet Army Day gradually turned into men's day. Thus in our rehabilitation center it became a habit to congratulate our boys on this day. For this event it was organized a small celebration party. It was attended by our new friends - Folk Ensemble of the State University "Crenguţă de Iederă" and our old friend - Anatoly Archa. 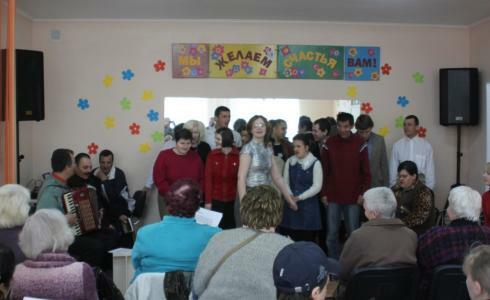 Our beneficiaries prepared an artistic program too, and after that they ate sweets and danced. One of the most effective methods of treatment is music therapy. It has long been proven that music has beneficial effects on all human organs and spiritual balance. 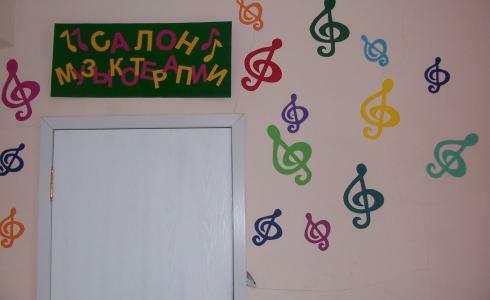 Thanks to Swiss Agency for Development and Cooperation (SDC) in Moldova, we begin a pilot project - music therapy.